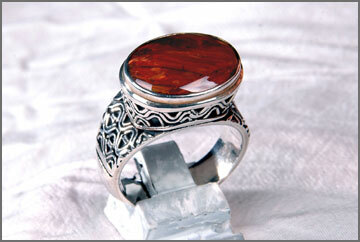 Desc: Sterling silver ring featuring de Gruchy filigree with Pietersite centre stone. Please email to info@degruchy.com for availability of different stones. Copyright deGruchy 2010. All rights reserved.